So it’s that time of year again – Me Made May! I’ve noticed a lot of participants this year taking their pledges in a very thoughtful direction – pledging to bring out their less-worn me-mades or to dispose of (responsibly) anything that they can’t find a way to wear over the course of the month. It’s hardly surprising with May following hard on the heels of Fashion Revolution week, and moreover a couple of movements have popped up on Instagram spurring us on in this direction: Lizzie B has started #sewistswearitagain to try and encourage us to revisit our neglected me-mades and Shauni has launched #sewingleftovers, a campaign to find productive uses for those endless fabric scraps. 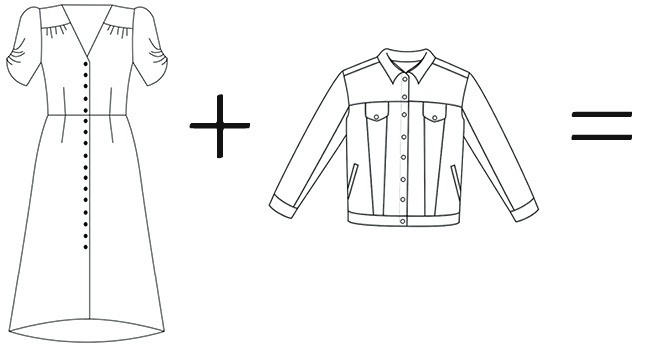 Keeping this in mind (and approaching my first Me Made May where I’ve a healthy stable of my own designs to draw on), I thought I would share some different ways of styling my patterns for maximum wear-age! 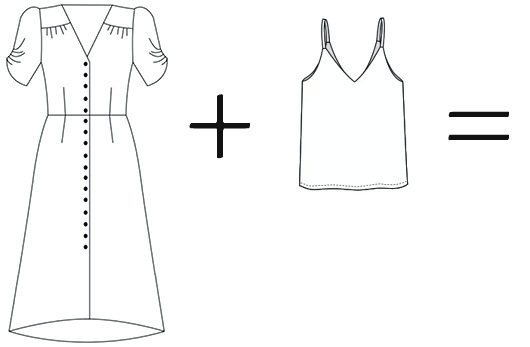 Today I’m focusing on the Kew Dress, version 1. This is a really easy dress to style up and down but below I’m going into a bit of detail about four specific outfits you could create, and suggesting some other patterns and accessories you could bring into play. This look embraces the vintage tea dress elements of the Kew and is perfect for taking the dress into cooler weather as it’s all about layers. 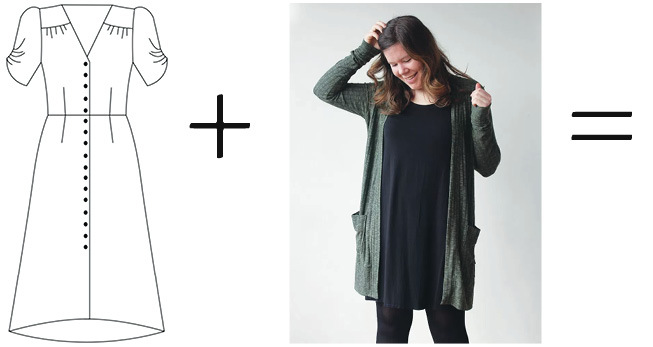 Pop a camisole underneath and a long cardigan over the top – the Blackwood from Helen’s Closet, or the Grainline Driftless Cardigan – maybe adding some knitted fingerless gloves, warm tights and brogues. If you’re worried about shapelessness, a narrow belt will define the waist. Throw off that denim jacket, swap the trainers for statement heels and you’re perfectly party prepped. The Kew is cut quite low at the front so you could accentuate that with a lace slip or cami underneath (e.g. a lace-trimmed True Bias Ogden). 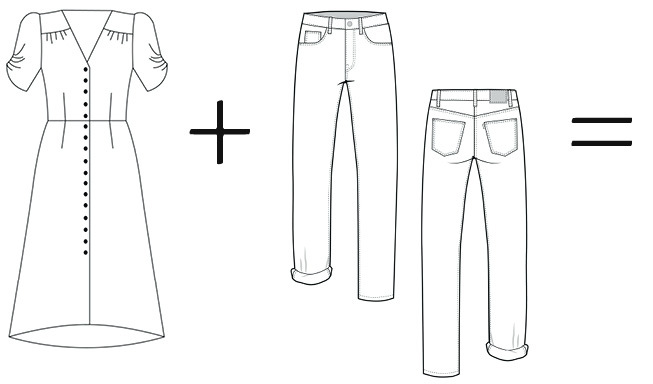 Undo a couple of buttons at the bottom of the skirt to create more movement and drama (and leg-flashing, if you want!). « The Piccadilly Pyjamas – inspiration, testers’ makes and fabric suggestions! What a wonderful dose of inspiration! I love all of these ideas and the Kew dress is stunning.